Will you practice Lent in 2018? I have practiced in the past; however, it’s admittedly been a few years. Therefore let no one pass judgment on you in questions of food and drink, or with regard to a festival or a new moon or a Sabbath. These are a shadow of the things to come, but the substance belongs to Christ. Let no one disqualify you, insisting on asceticism and worship of angels, going on in detail about visions, puffed up without reason by his sensuous mind, and not holding fast to the Head, from whom the whole body, nourished and knit together through its joints and ligaments, grows with a growth that is from God. If then you have been raised with Christ, seek the things that are above, where Christ is, seated at the right hand of God. Set your minds on things that are above, not on things that are on earth. For you have died, and your life is hidden with Christ in God. 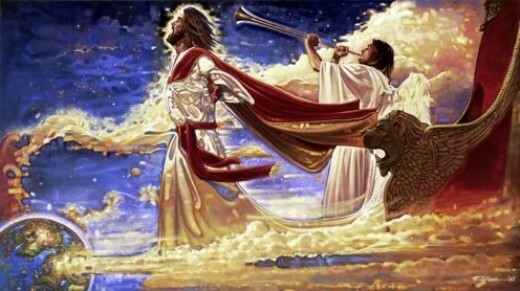 When Christ who is your life appears, then you also will appear with him in glory (Colossians 2:16-3:4). Paul seems to be instructing that asceticism and calendars are overrated compared to Christ and underwhelming in the battle against the sinful nature. Then, he compels readers to set their minds on their union with Christ in the experience of the gospel; that is, think on heavenly accomplishments rather than earthly shadows for power in the spiritual life. Before my theological education, I found this liberating. During my education, knowledge of church history, extra-biblical Christian texts, and exposure to a variety of Christians in various traditions caused me to wonder if I was missing out on my historical heritage – I didn’t want to act as if my Christianity was the only Christianity that there ever has been. Having been removed from the academic environment for about 7 years now, I’ve felt pulled in two directions – one existing in my knowledge of the historical expression of the Christian, spiritual life and one existing in my simple, post-conversion liberty found only in Christ and his gospel. I imagine that some may respond in saying the historical liturgy aims to image the gospel and to orient all of life around it. I can see that, but I can also see how it possibly focuses the mind on shadows of the gospel rather than on the reality itself. When I turn to the Scriptures for clarity, the only “icons” we’re given are the Eucharist and Baptism. We weren’t given any specific fasts or specific festivals or holy days. In fact, this 2013 article by Nicholas V. Russo casts all kinds of doubt on any solid proto-Nicene Lent tradition. At the most, one can say that the early church employed fasts and certain days as tools to prepare catechumens for Baptism. These lesser things served the people and the true apostolic ordinances. Today marks the beginning of Lent for many of my brothers and sisters. My hope for them is that they aren’t only living in the shadow but also in the reality of the union we share in the gospel of Jesus Christ. We have died. Our life is hidden in Christ with God. I want to know more of this death and life with which I have been united. I’m just not certain that Lent is the way. I’ll remember my Baptism; I’ll sit at the Lord’s table, I’ll hear the word of redemption in Christ; I’ll gaze upon the Head of the church, and try to yield to his Spirit, whose aim it is to conform me to Christ. In the “best life now”, “Every day a Friday” world of evangelicals, there’s little room for depression, or struggle, or doubt. Turn that frown upside down, or move along. Kids who are fed a stead[y] diet of sermons aimed at removing anything (or anyone) who doesn’t pragmatically serve “God’s great plan for your life” has forced them to smile and, as the old song encouraged them be “hap-hap-happy all the time”. Our kids are smart, often much smarter than we give them credit for. So they trumpet the message I hear a lot from these kids. “The church is full of hypocrites” [brackets mine]. The idea that the Christian life is somehow a pathway to successful and prosperous living and a life in which you will be finally and fully comfortable and happy could not be further from the truth. This is a lie. A person only needs to read the Gospels and consider the life of our Lord Jesus to find that the way of Christianity is the humble path of the cross-shaped life. Resurrection only follows death. The Christian life is one that will cost you everything. It is only in this life in which we spend our lives for God that we find that he has indeed given us all things. On the other hand, the world is always searching for and never finding. And so some so-called evangelicals in an attempt to woo the world toward Christ, have forsaken the true gospel for a luxurious, false gospel. Young people who have an ounce of discernment take a glance at the Scripture and immediately pick up on the contrast that they see in the life of the Lord Jesus and his apostles as compared to some of the evangelical churches of our day. At some point, they either search for something deeper within the Christian faith, concluding that there must be more to it than this, or they “stop pretending” as Marc concludes. Again, there is a sense in which I agree with Marc here; however, I feel like he again is missing a deeper issue. I feel that his worry is misplaced, or at least that he doesn’t say enough about what we should do. The local evangelical church’s response to this has to be twofold I think: (1) Teach and understand the doctrine of salvation that begins with the new birth, and (2) teach your church about proper ecclesiology between the young and the old, especially in the context of being a covenant member of a local church. At the heart of what real evangelicalism is, we find the doctrine of the new birth or regeneration. The thought that I as a pastor have to somehow manufacture a congregation in which there is no hypocrisy so that none of our teens get upset and “stop pretending” to be Christians is far-fetched and beyond my human ability. The answer to hypocrisy in the church as well as the answer to what happens when I see hypocrisy in the church is the Holy Spirit’s work in salvation. If a teenager has truly experienced the new birth, then he or she WILL persevere in the faith. The new birth is from the Holy Spirit (John 3) and the New Testament presentation of salvation is that the Spirit’s aim is to complete it (Romans 8:26–30). In the teen that witnesses hypocrisy in the local church, the Holy Spirit is present teaching that teen about things like we find in Paul’s prayer in Philippians 1:9–11. Not only this, but also the Spirit humbles the born again teen to consider his or her own hypocrisy. To go further, there is a test here for the young person, especially if they sense that they observed hypocrisy in an older saint. I recall teachings in the Pastoral Epistles that should cause pause to the young person who is quick to judge an older saint. I am not saying that what the young person observes as hypocrisy is not hypocrisy, but rather I am rather suggesting caution and humility to be practiced. Certainly, the apostle Paul calls the local churches to judge those who are within their assembly (1 Corinthians 5–6); yet the spirit with which we proceed in such a case should be one of humility, not arrogance or some threat of separation because “I’m tired of pretending.” The body of Christ is a family of sinners redeemed by grace. We eat the Lord’s Supper at a table of grace. Let’s seek to redeem and restore with humility through proper discipline and grace. For the young person to threaten and then actually walk away because he or she is “tired of pretending” reveals more about their own faith and ecclesiology than perhaps it does about their local church. Just imagine for a moment the “I stopped pretending” young person’s response to God should he ask him or her about his or her reasoning for leaving the local community . . . “they were hypocrites, and I was tired of pretending.” I don’t think that is going to hold up well. IMO, that response will burn like wood, hay, and the like. Our young people (and all of us mind you) need a developed understanding of church membership and commitment to a local body. I’m speaking from what I see written in the Scriptures, especially as I begin a study on 1 Corinthians. Imagine being a member there! Plenty of hypocrisy-accusations to go around. Yet, the idea that leaving the local community is a valid option for any real Christian is absurd. No, the apostle along with the Corinthians sought to grow in grace and in this thing called the Church. I’m also speaking from experience. It was not long ago that there was an “exodus” of people from my very own local church, many of them probably claiming some level of discontent and some making accusations of hypocrisy as they headed off to other local churches that will surely be void of such hypocrisy (cue laughter). What I am discovering is that those who left revealed more about their poor ecclesiology and understanding of local church membership than they did about some kind of impenetrable hypocrisy that they supposed was present and that God was too weak to do anything about. Let be said and done in the local church this way, “rejoice in hope, endure suffering, persist in prayer.” Let it be said to the young person who is “tired of pretending”: Stop pretending. Be a real Christian. Believe on the Lord Jesus Christ, and glorify God in your local assembly. Keep going. Endure. Persevere. If you do, you’ll see God work, and you’ll witness hope spring up in your midst.